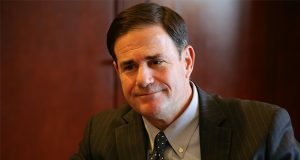 The Attorney General’s Office has found that a Phoenix Police Department policy that provides guidelines for the release of information following critical incidents does not violate officers’ privacy rights. Rick Miller is preparing his application for sainthood. He says that with a smile and a laugh, and because the founder of Kids at Hope says everything with a smile and a laugh, it’s almost hard to tell that he’s joking.